4. You can choose to add your selected font to an existing kit, or create a new kit. If you choose to create a new kit, you'll be given the embed code after naming the kit and adding your domains to Typekit. If you choose to add the font to an existing kit, you will be able to view your embed code by clicking on "Embed Code" found at the top right of your popped up kit editor. 1. 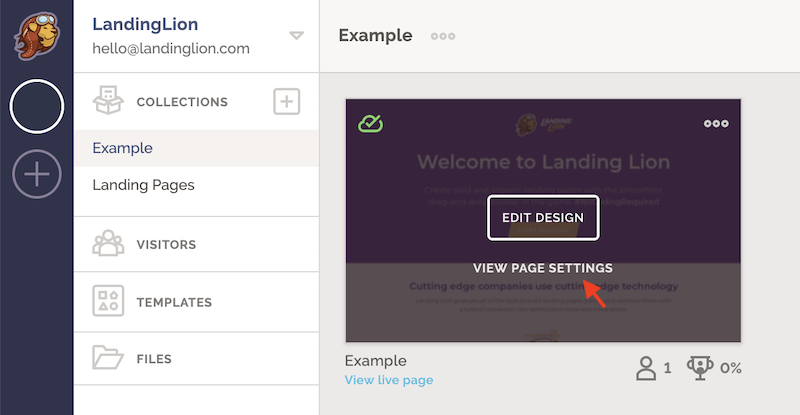 Go to "Page Settings" in your landing page and click on the "Custom Code" tab. 2. 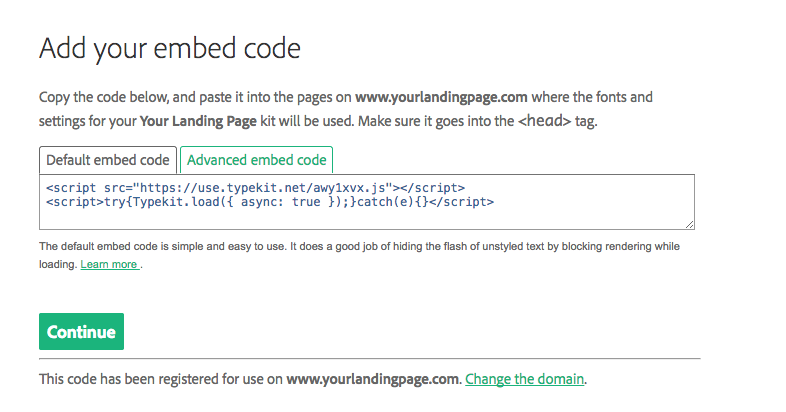 In the Header field (or <head> tag), enter the code snippet with the embed code you copied from Typekit. ❗️Important: Make sure to add "!important" to your CSS to ensure you will override Landing Lion's default styling. Custom code will not render while in the Page Builder, but will take effect when viewing a published page. Congratulations! Typekit has now been integrated with your page!